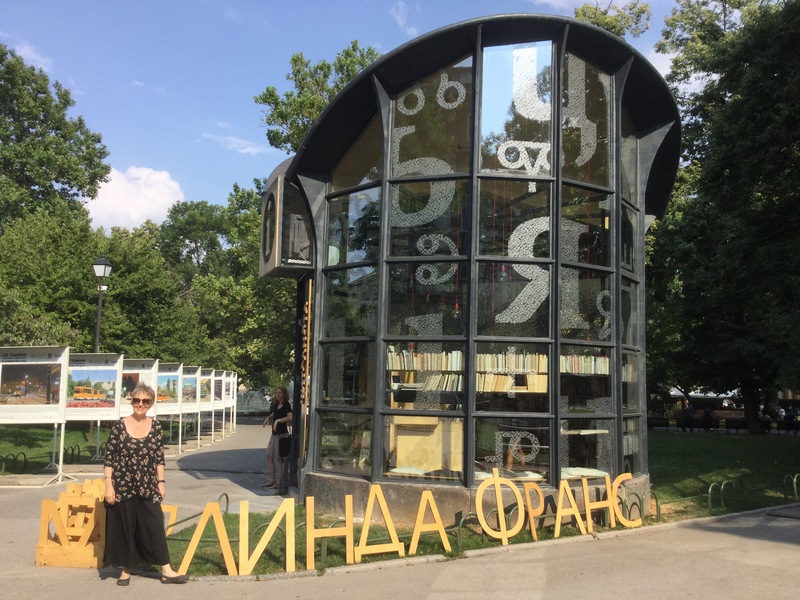 Yesterday we went to the lovely Reading Room, a public library in Sofia City Garden that is celebrating its first birthday today. 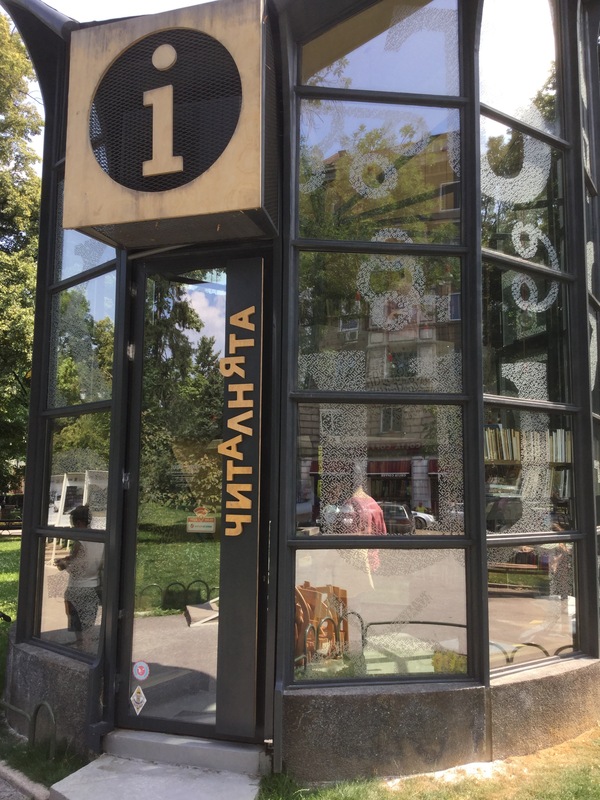 They made a little video reading there and spelled my name in big wooden Cyrillic letters outside. 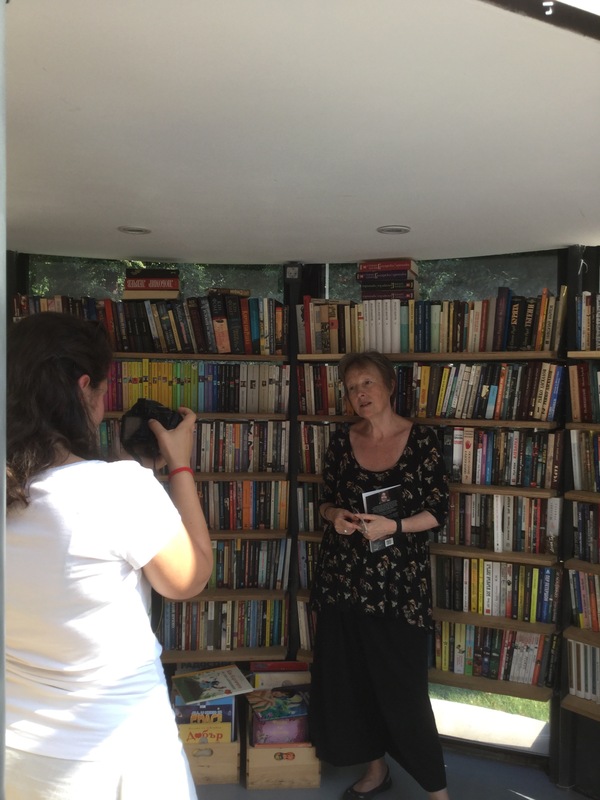 As well as a library, it’s also an information point, which helps with the funding. 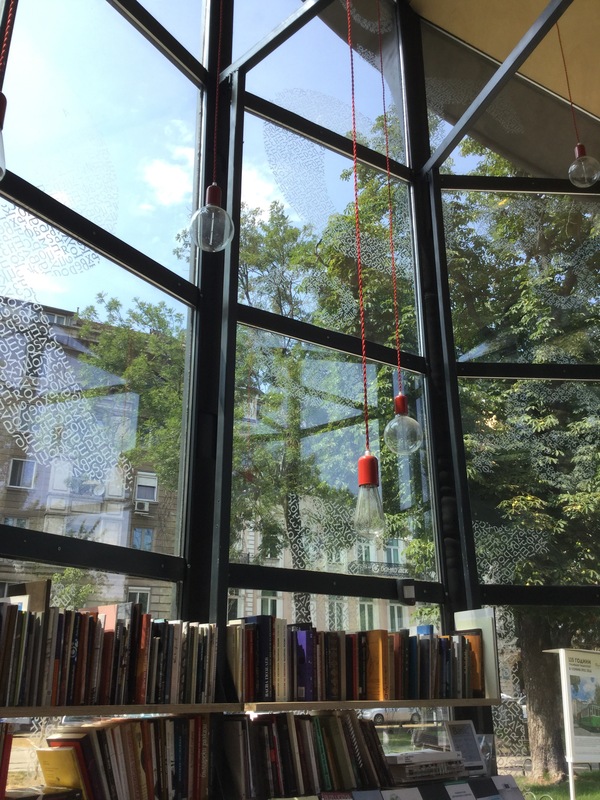 Brainchild of the writer Alexander Shpatov – he told me they’re trying to figure out a way to create another one to house all the books they’ve acquired. The fee for joining is the donation of one book. Alexander has written a book of short stories called Live from Sofia, which I duly bought rather than borrowed and am looking forward to reading – bringing a little bit of Sofia home with me.